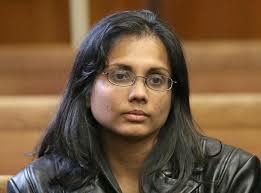 Massachusetts crime lab chemist Annie Dookhan pleaded guilty to 27 charges, like tampering with evidence, perjury, obstruction of justice, and falsely claiming to hold a master’s degree. The woman deliberately affected the lives of over 40,000 defendants who were wrongly released, or convicted based on her inaccurate test results. Annie Dookhan’s job as a crime lab chemist entailed the testing of drug evidence submitted by law enforcement agencies at the William A. Hinton State Laboratory in Jamaica Plain. Authorities began an investigation of Dookhan’s lab practices after they were “tipped off” by her colleagues as to the reliability of her results. They soon learned that Dookhan engaged in a regular practice of visually identifying drug samples instead of chemically testing the contents of the evidentiary vials. Dookhan only tested a small fraction of the samples, and then recorded all the samples in the batch as “positive” for drugs. The woman’s practice, also known as “dry-labbing,” enabled her to cut corners by saving time and “completing” a larger amount of cases. Reportedly, Annie Dookhan tampered with evidence because she sought to advance her career with her increased productivity. Nevertheless, since her arrest in August 2012 an estimated 40,000 defendants could be affected by Dookhan’s testing. Aside from her faulty drug tests, Annie Dookhan has also tampered with her own accreditations in a court of law. Called in to testify as an expert in a criminal trial for cocaine charges, Dookhan claimed that she held a Master’s Degree in Chemistry for the University of Massachusetts. The jury considered her testimony as reliable expertise, and thus overturned the criminal defendant’s conviction in the case. As a result of Dookhan’s false claims in court, the guilty defendant was released, he continued a chain of illegal activity, and even killed a Brockton, Massachusetts resident. Annie Dookhan deliberately affected tens of thousands of lives by dry-labbing. For every piece of evidence she did not test, yet marked as a drug sample, a person was wrongly convicted and might still be serving time. According to Attorney General Martha Coakley, Annie Dookhan’s actions “harmed the integrity of the system and put the public’s safety at risk.” While Dookhan’s attorney urged that his client never intended to “throw the entire Massachusetts criminal justice system into a tailspin,” but this is a hard contention to consider. Dookhan wanted to advance her career, and she ignored all the innocent lives that were forced under the criminal system, as well as the millions of dollars which the state will have to spend to rectify her mistakes. The future is unclear for Massachusetts drug testing labs, wherein more and more incidents of shoddy oversight have plagued their reliability.